Looking for automated universal packing system that transfers materials from tray to tape or tape to tube, etc. DP900 can do it! 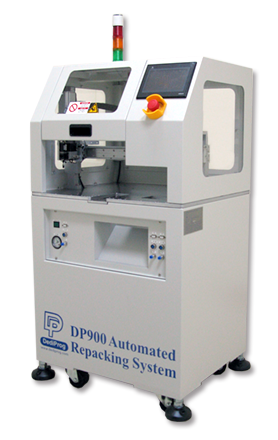 DP900 is a multi-functional packaging system that integrates tube, tray and tape package equipment which allows versatility and flexibility to meet different packing requirement. 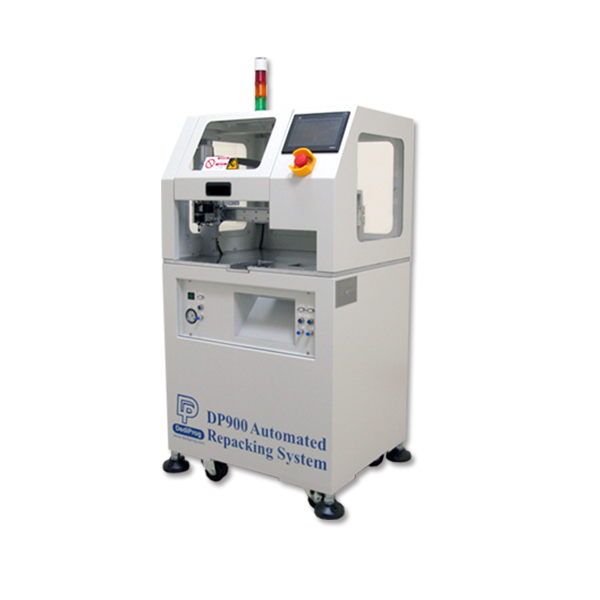 It is designed to be fully automatic and each package equipment is modularized as a sub-system for easy configuration and allows efficient work turnaround time. In addition, DP900 supports JEDEC standard tray, various SOP tubes and up to 22” tape reel, which is equipped with different sensors to ensure packaging quality and prevent human or system errors. 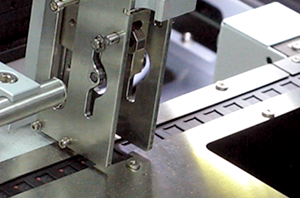 Optional CCD camera can be added to the system for 2D inspection and ink marker for IC marking. LCD keypad is available for each sub-system to allow easier maintenance and troubleshooting. Mechanical Accuracy +/- 0.05 mm. Placement nozzle able to perform 360̊ rotation. Dedicated automatic tube loader for SOP, SSOP and TSSOP packages. Sensor for cover tape, empty pocket, floating chip and tray position. Empty Pocket Sensor: Check if there is any IC in the pocket. Use CCD to monitor IC appearance.